As web geeks, we have a thick skin towards jargon. We all know that “Web 2.0” has been done to death. At Blue Flavor we even have a jargon bucket to penalize those who utter such painfully overused jargon with a cash deposit. But Web 2.0 is a term that has lodged itself into the conscience of the masses. This is actually a good thing. The 2.0 suffix was able to succinctly summarize all that was wrong with the Web during the dot-com era as well as the next evolution of an evolving media. While the core technologies actually stayed basically the same, the principles, concepts, interactions and contexts were radically different. With that in mind, this Christmas I want to introduce to you the concept of Mobile 2.0. While not exactly a new concept in the mobile community, it is relatively unknown in the web community. And since the foundation of Mobile 2.0 is the web, I figured it was about time for you to get to know each other. It’s the Carriers’ world. We just live in it. Before getting into Mobile 2.0, I thought first I should introduce you to its older brother. You know the kind, the kid with emotional problems that likes to beat up on you and your friends for absolutely no reason. That is the mobile of today. The mobile ecosystem is a very complicated space often and incorrectly compared to the Web. If the Web was a freewheeling hippie — believing in freedom of information and the unity of man through communities — then Mobile is the cutthroat capitalist — out to pillage and plunder for the sake of the almighty dollar. Where the Web is relatively easy to publish to and ultimately make a buck, Mobile is wrought with layers of complexity, politics and obstacles. I can think of no better way to summarize these challenges than the testimony of Jason Devitt to the United States Congress in what is now being referred to as the “iPhone Hearing.” Jason is the co-founder and CEO of SkyDeck a new wireless startup and former CEO of Vindigo an early pioneer in mobile content. As Jason points out, the mobile ecosystem is a closed door environment controlled by the carriers, forcing the independent publisher to compete or succumb to the will of corporate behemoths. Mobile 2.0 is term used by the mobile community to describe the current revolution happening in mobile. It describes the convergence of mobile and web services, adding portability, ubiquitous connectivity and location-aware services to add physical context to information found on the Web. It’s an important term that looks toward the future. Allowing us to imagine the possibilities that mobile technology has long promised but has yet to deliver. It imagines a world where developers can publish mobile content without the current constraints of the mobile ecosystem. Like the transition from Web 1.0 to 2.0, it signifies the shift away from corporate or brand-centered experiences to user-centered experiences. A focus on richer interactions, driven by user goals. Moving away from proprietary technologies to more open and standard ones, more akin to the Web. And most importantly (from our perspective as web geeks) a shift away from kludgy one-off mobile applications toward using the Web as a platform for content and services. This means the world of the Web and the world of Mobile are coming together faster than you can say ARPU (Average Revenue Per User, a staple mobile term to you webbies). And this couldn’t come at a better time. The importance of understanding and addressing user context is quickly becoming a crucial consideration to every interactive experience as the number of ways we access information on the Web increases. Mobile enables the power of the Web, the collective information of millions of people, inherit payment channels and access to just about every other mass media to literally be overlaid on top of the physical world, in context to the person viewing it. Anyone who can’t imagine how the influence of mobile technology can’t transform how we perform even the simplest of daily tasks needs to get away from their desktop and see the new evolution of information. But what will make Mobile 2.0 move from idillic concept to a hardened market reality in 2008 will be four key technologies. Its my guess that you know each them already. Opera is like the little train that could. They have been a driving force on moving the Web as we know it on to mobile handsets. Opera technology has proven itself to be highly adaptable, finding itself preloaded on over 40 million handsets, available on televisions sets through Nintendo Wii or via the Nintendo DS. Many were surprised when Apple chose to use KHTML instead of Gecko (the guts of Firefox) to power their Safari rendering engine. But WebKit has quickly evolved to be a powerful and flexible browser in the mobile context. WebKit has been in Nokia smartphones for a few years now, is the technology behind Mobile Safari in the iPhone and the iPod Touch and is the default web technology in Google’s open mobile platform effort, Android. The iPhone has finally brought the concepts and principles of Mobile 2.0 into the forefront of consumers minds and therefore developers’ minds as well. Over 500 web applications have been written specifically for the iPhone since its launch. It’s completely unheard of to see so many applications built for the mobile context in such a short period of time. With Leaflets, a collection of iPhone optimized web apps we created, we heavily relied on CSS3 to cache and reuse design elements over and over, minimizing download times while providing an elegant and user-centered design. It is the combination of all these instigators that is significantly decreasing the bar to mobile publishing. The market as Jason Devitt describes it, will begin to fade into the background. And maybe the world of mobile will finally start looking more like the Web that we all know and love. So after the merriment and celebration of the holiday is over and you look toward the new year to refresh and renew, I hope that you take a seriously consider the mobile medium. By this time next year, it is predicted that one-third of humanity will be using mobile devices to access the Web. 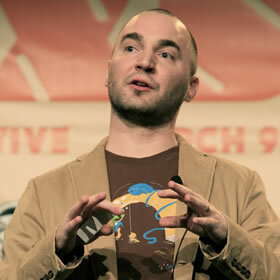 Brian Fling has been a leader in the web and mobile user experience. He has worked with several Fortune 500 companies to help design and develop their online experiences. Brian is a frequent speaker and author on the issues on mobile design, the mobile web and mobile user experience. He co-created a series of iPhone web applications called Leaflets to showcase the concepts of “Mobile 2.0” just two weeks after the iPhone launched. Brian co-authored the dotMobi Mobile Web Developers Guide, the first free publication to cover mobile web design and development from start to finish. He runs one of the largest online communities focused on mobile design. He is currently writing O’Reilly Media’s first book mobile, Mobile Design and Development. Today Brian runs a small studio called Fling Media with his wife Cyndi. Scott Jehl unties the ribbon on his cross-browser method of clearing away the address bar from small mobile screens to make more room for your design. So clear a space under the tree and on your phone for more Christmas pixels. Sarah Parmenter reminds us that visual design for iOS devices involves more than just a smattering of CSS media queries. With a few extra steps, you can make your iPhone site work harder and put yourself in Santa’s good books. Cameron Moll eases us into the idea of developing for the mobile web with four quick tips to get you started. Sleigh bells ring, are you listening? In the lane someone has a mobile device and they’re trying to get to your content. Hark!